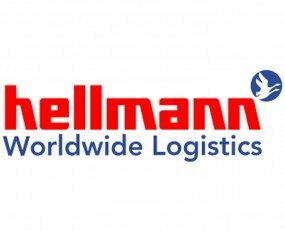 Hellmann Worldwide Logistics Netherlands and Norwegian-headquartered REC Group have extended their cooperation in Rotterdam, Netherlands, for another three years until 2021. REC is one of the biggest European solar energy companies. Hellmann and REC have been working together in a long-term partnership since 2013, where Hellmann provided a full range of logistics services- including sea freight, drayage, warehousing and stock management control, outbound distribution, fiscal representation as well as IOT tools along their entire supply chain. Hellmann provides its services for REC from its European Control Tower in Rotterdam. With a storage area of around 40,000 sq m and handling capacity of more than 100 shipments per day, the Rotterdam Control Tower is one of the four global logistics hubs from which Hellmann provides its services exclusively to customers from the renewable energy sector. The other Control Towers are located in Dubai, Shanghai and New York. Over the last few years, Hellmann has developed a business model around the global solar industry, supported by a tailor-made IT infrastructure and offering a synchronised global value-added services portfolio. “Hellmann understands the needs of the Solar Industry, the dynamic of our business and the implications this has on Supply Chain Management. We know we can always count on the quality of their services and this peace of mind is invaluable to our day-to-day business,” said Mr Tan Song Lian, Senior Logistics Manager from REC Group.